I receive lots of question about what are most interesting books about space and universe and what books I should recommend. 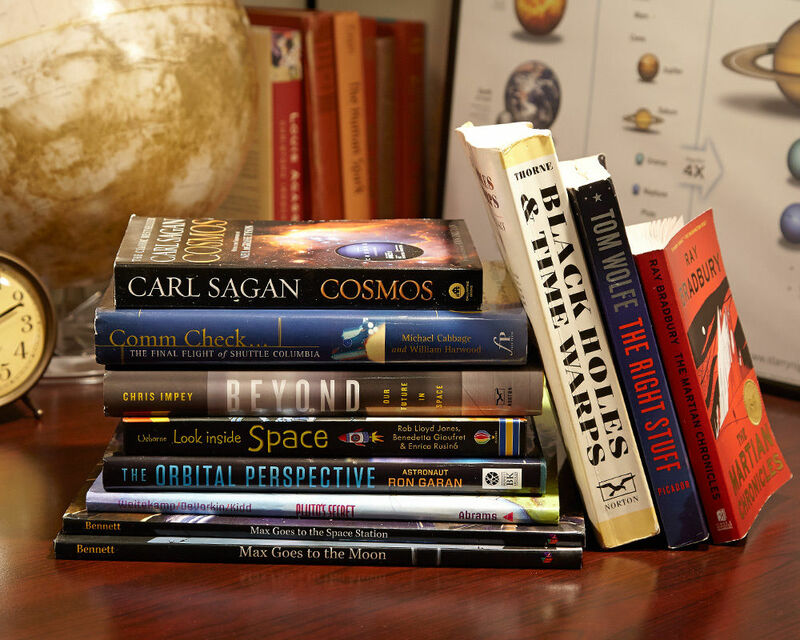 Well, here are 5 books that I think every space enthusiast should read. Spooky Action at a Distance - The Phenomenon That Reimagines Space and Time--and What It Means for Black Holes, the Big Bang, and Theories of Everything. If you are familiar with Quantum Entanglement and intrigued by this mysterious phenomenon then this is the best book for you and if you haven’t heard about Quantum Entanglement, then this-is-a-must-read-book for you. "Spooky Action at a Distance" by science writer George Musser dives into the different ways that researchers are grappling with this concept of "nonlocality" — what Albert Einstein legendarily called "spooky action at a distance" in the quantum mechanics world. This book will not only help you understand Einstein’s "Spooky Action at a Distance”, it will also help you to get a better understanding of space-time itself. You can buy this book here or download it here for free. This is one of my favorite. Theoretical astrophysicist Kip Thorne has spent his whole career discovering subjects that once appeared downgraded to science fiction, for instance whether time travel is possible, and how humans could possibly travel from one galaxy to other via wormholes. In "Black Holes and Time Warps," Kip Thorne offers an introduction to these fascinating concepts and also other mind-bending topics, at a level suitable for nonscientists. You can buy this book here or download it here for free. "Cosmos," by well-known astronomer and the best science communicator Carl Sagan, is an awesome book, diving deep into the history of science, philosophy and the universe itself. The book acts as a partner with Sagan's treasured 1980s TV show, "Cosmos: A Personal Voyage." This book is a gorgeous glimpse inside one of the ultimate scientific minds in entire history. Although some of the content in the book seem old, the book still lives up to its hype and is also one of the best popular science books ever written, and the language is just beautiful. You can download it here. As the name indicate, this is pretty exciting stuff and the concepts are beautifully explained in a language that anyone can easily understand and enjoy. We're really not equipped to comprehend the cosmos as a 10-dimensional entity — and yet "Hyperspace" clarifies this revolutionary idea in such an articulate and appealing way that it makes a good deal of sense. You can buy this book here. Clayton Anderson's new biography covers his whole 30-year NASA career, but it doesn't pinch on the precise, quirky details along his path to space (and his 15 distinct applications before approval to the program). He gets way deep into the details of training and the bonding with his astronaut class as well as traversing the power structures inside NASA and finding his way through two major space missions — 5 months on the ISS and then a dozen-day shuttle mission. You’ll definitely enjoy this. You can download this book here.